The Last Man On Earth is an upcoming show on FOX starring Will Forte. The show takes places 2+ years after “The Virus” has cleaned out America, and Phil Miller has finished roaming the United States in search for other life. 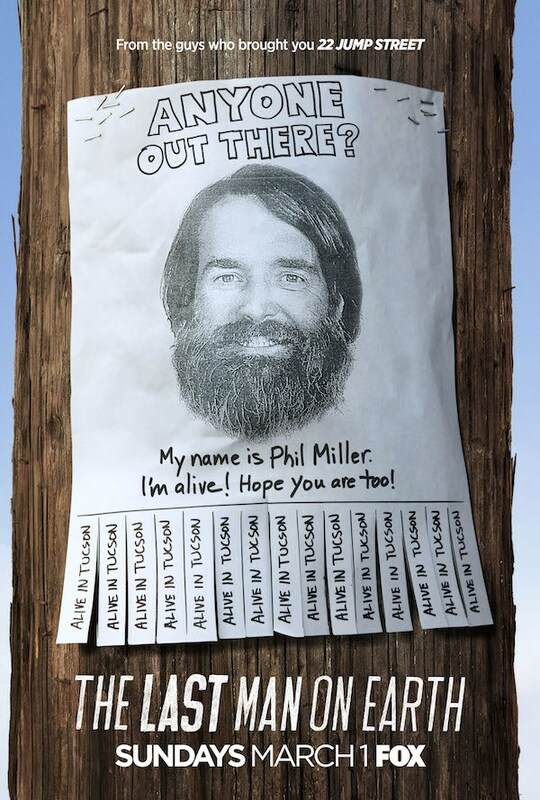 He has crossed out 50 States, leaving “Alive In Tuscon” spray painted across the country, just in case someone is still out there. He has picked up knickknacks from all over, Presidential seals to Paintings, disobeying all laws, as their is no one around to say otherwise. That is until Episode 2 when the all-proper, ever-law obeying, Carol (Kristen Schaal) shows up, and forces him to start playing by the rules. Stopping for stop signs, not taking the “Handicap Parking Spots”, and cleaning up after himself. The show has some minor potential, but it is very minor at this point, as they try to repopulate the world…and overall it is a 4 out of 10. ← Let The Binging Begin!